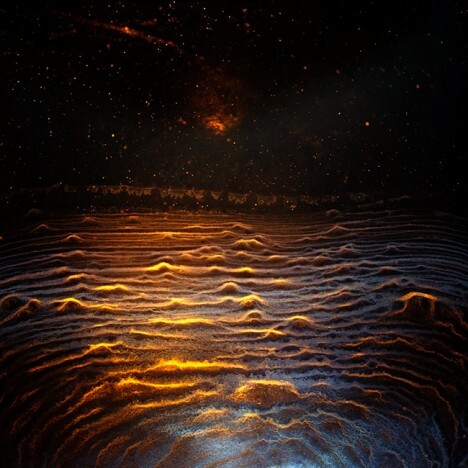 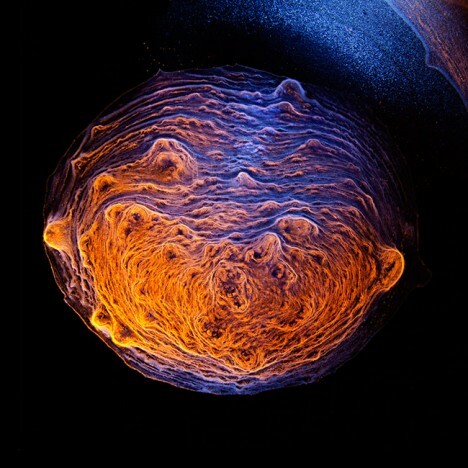 Whisky enthusiast and hobbyist photographer Ernie Button was about to wash a glass when he noticed that the scotch residue at the bottom had dried into a series of chalky, delicate lines. 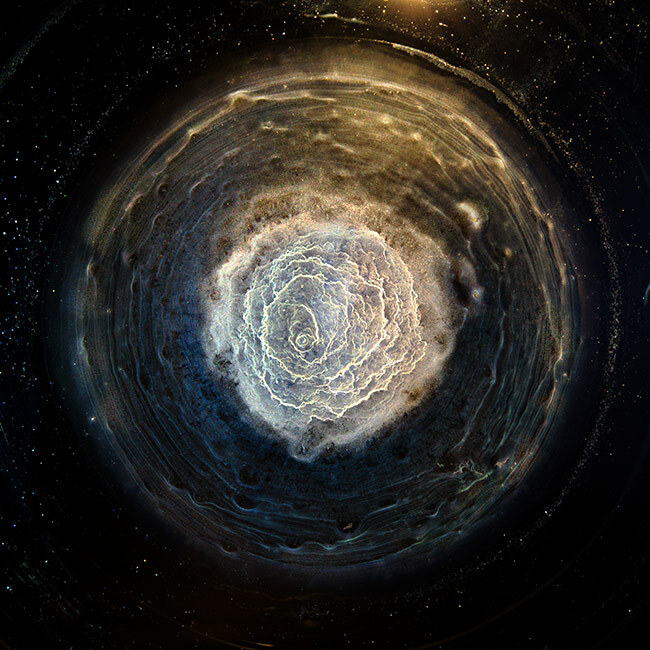 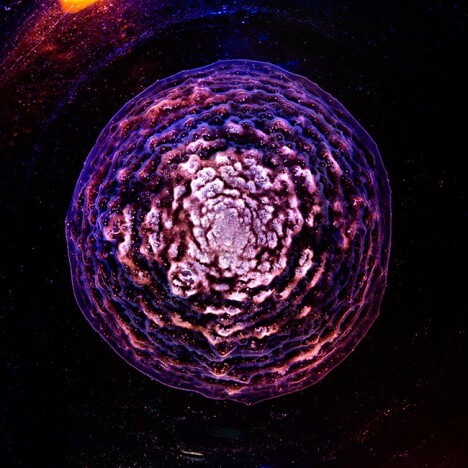 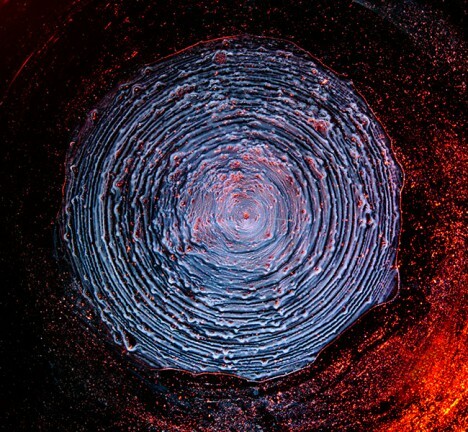 This chance discovery eight years ago led to a series of experiments that have used booze as an art medium, with different brands and varieties of scotch producing different effects calling to mind imagery of outer space. 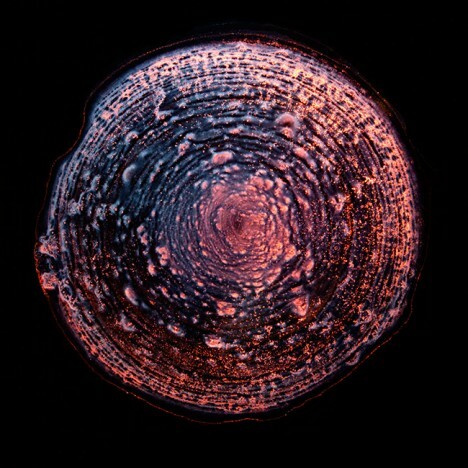 Any aged scotch will make the rings, Button reports, but what seems to effect the patterns most is where the spirits are produced. 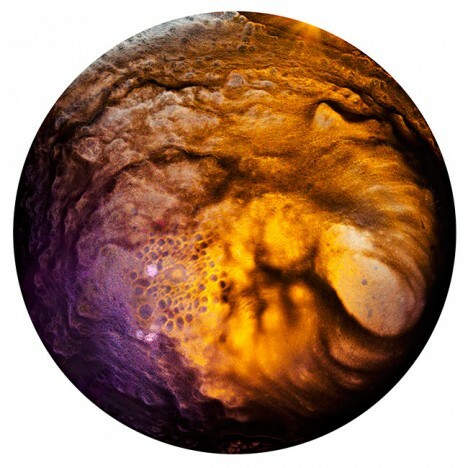 Scotches with smoky flavors made on the islands of Islay and Skye in western Scotland were inconsistent, while those from the valley around the River Sprey in northeastern Scotland produced more predictable results. 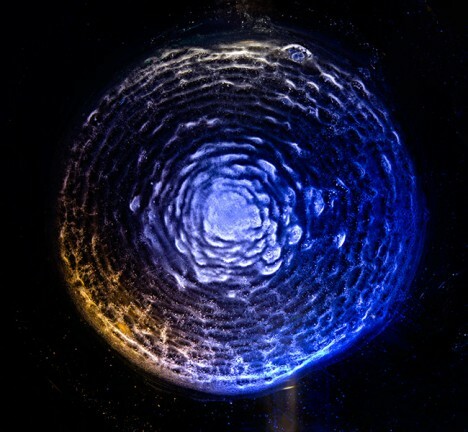 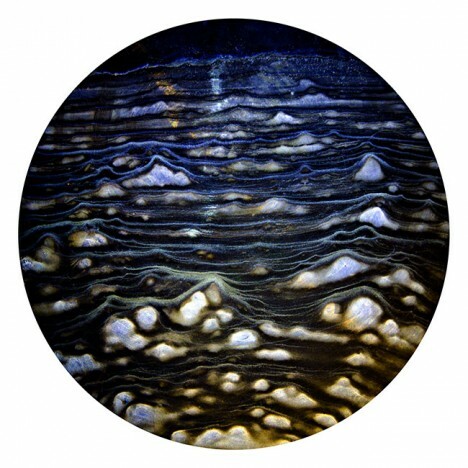 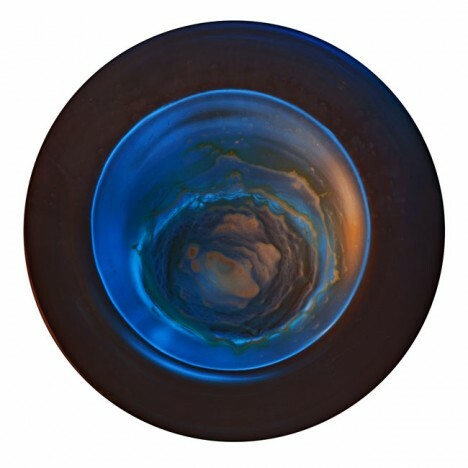 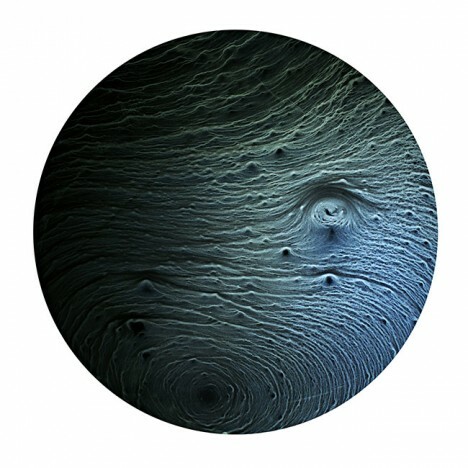 The series, entitled ‘Vanishing Spirits: The Dried Remains of Single Malt Scotch’ includes dozens of images combining science with art. 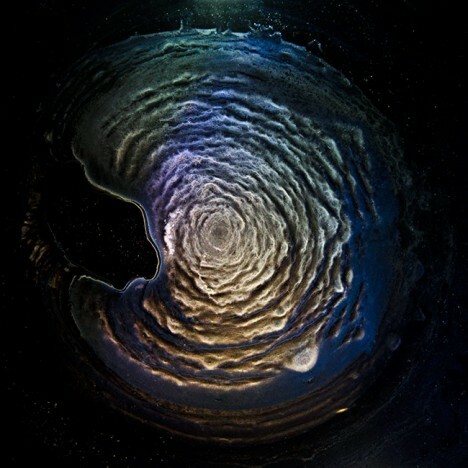 If you’re interested in learning more about the physics behind this unusual art form, check out this feature at The New York Times.